112 pages • $14.95 • Item # VB 109 The best of Performance Conditioning Volleyball. Official text for the USAV Coaching Accreditation Program, Level II. Presented from 31 authors, includes footwork, agility, mobility, testing, nutrition, planning and much more, all volleyball-specific. 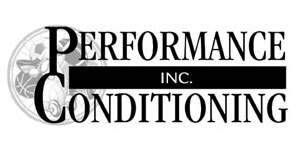 Learn the 14 critical areas of conditioning and how to develop each for peak performance, indoors or out.